Blue Prints, Floor Plans, Construction Drawing For Permit Services Citrus County, Levy County, Marion County, The Villages. We work with many Home Builders in the surrounding area and we would like to work with you too! Bluewater Drafting, Inc is a family owned and operated drafting company. Our office and design center is in the heart of Citrus County, Florida. We will travel to your job site and meet with you and your clients. We use Autodesk Architecture 3D & SoftPlan to design accurate, detailed plans to meet Florida Building Code 2010. Our plans are sealed and certified by a Licensed Professional Engineer who provides all load and wind calculations. Our policy is to create a builder specific start page file. 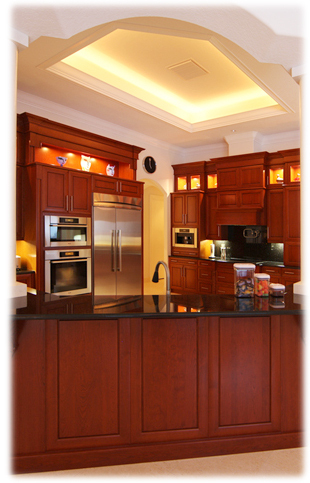 We understand each contractor prides themselves in the quality they provide to their clients. Its is our responsibility, as a drafting company, to ensure our plans reflect your standards and are not generic to all builders. We do this by creating a unique file for each builder and each construction detail is based on the materials your company uses. This will save you money in the long run by cutting down unexpected cost and help you continue to earn the trust of your clients. We can work directly with your client to create the home they want. At our office, we have a dedicated conference room to sit down with your clients and go over their ideas and design. Client plans come in many forms whether it be simply an idea or a drawing on notebook paper. We take these ideas and put them into a design and plan that is not only what they envisioned but is also structurally sound and meets all Florida building codes. We also provide you, the contractor; with updated preliminary plans to make sure the designs meet your company’s standards. We can also work directly through you and meet with you to discuss and create new home plans or update your existing home plans. If you are a home builder in need of high quality plans from an experienced drafting team, contact Bluewater Drafting today!